The UF Department of Surgery celebrated it’s 13th Research Day on Wednesday, April 12. Primary Mentor: Adam Katz, M.D. Primary Mentor: Christina Shaw, M.D. Primary Mentor: Kristina Giles, M.D. Primary Mentor: Azra Bihorac, M.D. Primary Mentor: Steven Hughes, M.D. 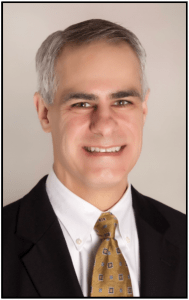 Scott A. LeMaire, M.D. is a Professor of Surgery and of Molecular Physiology and Biophysics, the Vice Chair for Research in the Michael E. DeBakey Department of Surgery, and is the Director of Research in the Division of Cardiothoracic Surgery at Baylor College of Medicine, as well as a member of the professional staff in the Department of Cardiovascular Surgery at the Texas Heart Institute and Baylor St. Luke’s Medical Center in Houston, Texas. Dr. LeMaire graduated from Northwestern University Medical School in 1992 and completed his general surgery residency training in 1997 and in cardiothoracic surgery at Baylor College of Medicine in 1999. Since 1999, Dr. LeMaire has been on the faculty of the Department of Surgery Baylor College of Medicine, first as an Assistant Professor, rising to the rank of Full Professor in 2009. His primary clinical interest focuses on the management of patients with thoracic aortic disease, with a particular emphasis on treatment of aortic dissection and thoracoabdominal aortic aneurysms. His corresponding research program focuses on organ protection during aortic surgery, genetic aspects of thoracic aortic disease, and molecular mechanisms of aortic degeneration.